6. What changes the brain in glaucoma? In this project the use of attentional perimetry or reaction time perimetry, RTP in the aging population (including glaucoma patients) for the assessment of neurovisual function relevant for driving safely will be evaluated with Ocusweep device. The project has the goal of refining Ocusweep device’s attentional perimetry (visual field examination) to the level that it can be used even among subjects not capable of doing current automatic visual field test (e.g. individuals of older age, mild cognitive limitations or e.g. Parkinson disease). With Ocusweep device the measuring of visual field with standard perimetry and also assessing visual processing speed and attentional capabilities with reaction time perimetry can be done automatically. These measurements are critical in the evaluation for identifying crash-prone older drivers. As important is to ascertain that those older individuals who have sufficient capabilities for driving a car don’t unnecessarily lose their driver’s license. Knaapi L, Vesti E & Leinonen MT (2015): Detecting the Physiological Blind Spot with Reaction Time Perimeter. Journal of Clinical & Experimental Ophthalmology 06: 493. Owsley C & McGwin Jr. G (2010): Vision and driving. Vision Research 50: 2348–2361. Eye movements (EMs) are the most frequent voluntary action we make in our waking day, occurring more times per second than our hearts beat. A predominant EM is the saccade – the quick, ballistic action the eyes make as they move between fixations. Our overall working hypothesis is dysfunction in the visual system can turn up in the form of telltale differences in a person’s gaze measured by state-of-the-art eye tracking, including a novel analysis of patterns of saccades, as a person watches a film. Glaucoma detection and monitoring is done, mainly inadequately, in a clinic; a system that is likely unsustainable in the future. Instead of relying on infrequent tests in a clinic, focus should shift to capturing vision loss as part of a person’s ordinary daily activities. Our contention is that anomalies in EMs tracked during viewing of stimuli have the potential to be developed into a rigorous test that could be incorporated into an everyday activity, like something as simple as watching a movie. Our research lab is collecting an archive of EM data in people with and without glaucoma as they watch different types of movies & footage of natural scenes and this data is available for analysis in this project. We therefore seek a creative scientist that can further develop methods to analyse these data. Crabb D.P., Smith, N.D., and Zhu, H. (2014). What’s on TV? Detecting age-related neurodegenerative eye disease using eye movement scanpaths. Front Aging Neurosci. 6:312. Glen, F.C., Smith, N.D., and Crabb, D.P. (2013). Saccadic eye movements and face recognition performance in patients with central glaucomatous visual field defects. Vision Res. 82, 42–51. Smith, N.D., Crabb, D.P., Glen, F.C., Burton, R., and Garway-Heath, D. F. (2012) Eye Movements in Patients with Glaucoma When Viewing Images of Everyday Scenes. Seeing Perceiving 25:471-492. Crabb, D.P., Smith, N.D., Rauscher, F.G., Chisholm, C.M., Barbur, J.L., Edgar, D.F., and Garway-Heath, D.F. (2010). Exploring eye movements in patients with glaucoma when viewing a driving scene. PLoS One. 16;5(3):e9710. Glaucoma is a chronic eye disease, which eventually can lead to irreversible blindness. In the earlier stages, striking abnormalities may be found in the relevant eye tissues (optic nerve head, retinal nerve fiber layer, retinal ganglion cell layer) apparently without functional changes, at least if tested with straightforward perimetry. This suggests that we overlook or underestimate malfunction of specific visual functions in glaucoma patients. One of these functions could be motion detection. There are several bits of behavioural and neuro-imaging evidence that point towards reduced motion detection in glaucoma (Jansonius et al. 2014; Shabana et al. 2003). However, much is still to be clarified. In this project we will use structural and functional MRI to look for changes in cortical motion processing and motion areas to find further evidence for this theory (similar to changes in early visual processing . In a companion project, motion detection in glaucoma will be studied using psychophysical techniques, the results of which will serve as a basis for this project. We will use fMRI analysis techniques such as population Receptive Field and Connective Field analysis [2,3]. Further development of such analysis techniques is also foreseen. The gained knowledge may serve as a basis for the development of techniques to better discriminate between healthy and glaucoma and progression monitoring in established glaucoma and rehabilitation. In clinical practice, the main measurement of vision loss in glaucoma is done with automated perimetry yielding visual field maps. These maps exhibit massive measurement variability often meaning delayed identification of disease deterioration, with a consequence on treatment outcomes, and the requirement for frequent clinic visits for visual field examinations, with consequent cost and patient inconvenience. This programme of work will investigate if combining information from retinal imaging and conventional visual field measurements accelerate the reliable identification of vision loss in patients with glaucoma. This programme of work will adapt and develop statistical models for detecting glaucoma progression already developed at City University London and will also incorporate modern statistical methods (feature extraction) for assessing changes in shapes in the retinal images. The project will take advantage of huge data sets of measurements taken from clinics and clinical trials. We seek a creative data scientist who will develop these statistical methods to potentially provide improved clinical outcomes. The scientist will also work directly with software engineers at Heidelberg Engineering with the aim of implementing the methodology on clinically used instruments. Zhu, H., Poostchi, A., Vernon, SA., and Crabb, D.P. (2014). Detecting abnormality in optic nerve head images using a feature extraction analysis. Biomed Opt Express 5, 2215-30. Zhu, H., Russell, R.A., Saunders, L.J, Ceccon, S., Garway-Heath, D.F., and Crabb, D.P. (2014). Detecting changes in retinal function: Analysis with Non-Stationary Weibull Error Regression and Spatial enhancement (ANSWERS). PLoS One. 9(1):e85654. Saunders, L.J., Russell, R.A., Kirwan, J.F., McNaught, A.I., and Crabb, D.P. (2014). Examining visual field loss in patients in glaucoma clinics during their predicted remaining lifetime. Invest. Ophthalmol. Vis. Sci. 55, 102-109. Zhu, H., Crabb, D.P., Fredette, M.J., Anderson, D.R., and Garway-Heath DF. (2011). Quantifying discordance between structure and function measurements in the clinical assessment of glaucoma. Arch Ophthalmol. 129(9):1167-74. Zhu, H., Crabb, D.P., Schlottmann, P.G., Lemij, H., Reus, N.J., Healey, P.R., Mitchell, P., Ho, T. and Garway-Heath DF. (2010). Predicting Visual Function from the Measurements of Retinal Nerve Fibre Layer Structure. Invest Ophthalmol Vis Sci 51:5657-66. The classic view of glaucoma is that of an eye disease in which elevated intraocular pressure (IOP) mechanically damages the optic nerve causing the death of retinal ganglion cells (RGCs). Elevated IOP is a strong risk factor, but glaucoma with normal levels of IOP (normal-tension glaucoma; NTG) is commonly reported as well . Furthermore, elevated IOP does not inevitably result in development of the disease . Clearly, factors other than the IOP seem to be involved. A recently proposed risk factor is the difference between (anterior) IOP and the (posterior) intracranial pressure (ICP) on the optic nerve, that is, the trans-lamina cribrosa pressure difference (TLCPD) [3, 4]. Previous research from our laboratory has focused on brain involvement in high-tension glaucoma (HTG), as well as NTG[5-9]. We concluded that HTG and NTG may each reveal different aspects of one and the same disease that has both an ocular and a brain component to it. However, it remains unclear to what extent different components such as the loss of visual input – and subsequent deprivation–, transsynaptic degeneration, or TLCPD contribute to the neurodegeneration observed in glaucoma. To answer this question, we will a) establish the degree of neurodegeneration in NTG and HTG using magnetic resonance imaging (MRI, DTI), and b) determine how this correlates with clinical measures such as optic nerve damage, visual field defects, IOP, ICP, and TLCPD. The gained knowledge may serve to better understand the mechanisms underlying glaucoma as well as contribute to progression monitoring in established glaucoma and rehabilitation. B. J. Song and J. Caprioli, “New directions in the treatment of normal tension glaucoma.,” Indian J. Ophthalmol., vol. 62, no. 5, pp. 529–37, 2014. M. O. Gordon, J. A. Beiser, J. D. Brandt, D. K. Heuer, E. J. Higginbotham, C. A. Johnson, J. L. Keltner, J. P. Miller, R. K. Parrish, M. R. Wilson, and M. A. Kass, “The Ocular Hypertension Treatment Study: baseline factors that predict the onset of primary open-angle glaucoma.,” Arch. Ophthalmol., vol. 120, no. 6, pp. 714–20; discussion 829–30, 2002. J. P. Berdahl, M. P. Fautsch, S. S. Stinnett, and R. R. Allingham, “Intracranial pressure in primary open angle glaucoma, normal tension glaucoma, and ocular hypertension: a case-control study.,” Invest. Ophthalmol. Vis. Sci., vol. 49, no. 12, pp. 5412–8, 2008. J. P. Berdahl, R. R. Allingham, and D. H. Johnson, “Cerebrospinal Fluid Pressure Is Decreased in Primary Open-angle Glaucoma,” Ophthalmology, vol. 115, no. 5, pp. 763–768, 2008. C. C. Boucard, A. T. Hernowo, R. P. Maguire, N. M. Jansonius, J. B. T. M. Roerdink, J. M. M. Hooymans, and F. W. Cornelissen, “Changes in cortical grey matter density associated with long-standing retinal visual field defects.,” Brain, vol. 132, pp. 1898–1906, 2009. Prins D, Hernowo A T, Baseler H A, Plank T, Gouws A D, Hooymans J M, Morland A B, Greenlee M W, Cornelissen F, “Reduction of frontal white matter volume in patients with age-related macular degeneration,” 2013. A. T. Hernowo, D. Prins, H. a Baseler, T. Plank, A. D. Gouws, J. M. M. Hooymans, A. B. Morland, M. W. Greenlee, and F. W. Cornelissen, “Morphometric analyses of the visual pathways in macular degeneration.,” Cortex., pp. 1–12, Jan. 2013. Prins, D., Hanekamp, S., Cornelissen FW, “Structural brain MRI studies in eye diseases: are they clinically relevant? A review of current findings” Acta Ophthalmol., 2015. C. Boucard, S. Hanekamp, B. Curcic-Blake, M. Ida, M. Yoshida, and F. W. Cornelissen, “Neurodegeneration beyond the visual system in a population with a high incidence of normal tension glaucoma,” Ophthalmic & Physiol. Optics. (preprint available on request). Pursuing these research aims the successful candidate will receive expert training in the investigation of the healthy and pathological human visual system, the acquisition of retinal and cortical responses with non-invasive electrophysiological techniques and patients studies. The starting date is flexible. Earliest starting date is October 1st 2016. Applications will be accepted until the position is filled. The question of plasticity in visual systems with congenital and acquired defects is a very topical one. Given the substantial retinal damage present in glaucoma, plastic mechanisms should be expected up-stream to reduce dysfunction of the visual system. In the present project functional magnetic resonance imaging (fMRI) will be applied to investigate such compensatory mechanisms of plasticity triggered by glaucoma-induced visual field defects. The results will serve to understand general principles of plasticity in the human visual system. Pursuing these research aims the successful candidate will receive expert training in the investigation of the healthy and pathological human visual system, the acquisition and analysis of fMRI data including the use of advanced retinotopic mapping techniques, and in patients studies. The starting date is flexible. Earliest starting date is May 1st 2016. Applications will be accepted until the position is filled. One common goal of several Egret-+ projects is to evaluate the part of intracranial pressure (ICP) in the pathophysiology of glaucoma. Noninvasive monitoring of ICP changes is possible through the ear using sound-evoked responses from the inner ear, and methods have been developed that reliably hint at absolute ICP, e.g. from the outcome of body-tilt experiments wherein subjects serve as their own controls. However, in the context of glaucoma, this project will require ICP measurements repeated over the course of several days or months (e.g. to follow-up the effect of a treatment of glaucoma). To provide reliable, tolerably fast measurements (ideally, that patients could perform at home), the current measuring systems must be upgraded and their improvements, validated clinically in samples of patients. The goal of this project is to design and compare signal processing methods more advanced than simple spectral analysis and threshold-based epoch rejection to improve the robustness of signal extraction from background acoustic noise (with atypical, non-Gaussian statistical properties) and speed up data collection even in patients with decreased cochlear responses due to ageing. With the aim of developing self-administered daily tests by unskilled patients, calibration methods will have to be established that control not only the levels of sound stimuli, but also their phases, highly sensitive to probe positioning and (even slight) variations in the ear’s impedance. Avan P, Büki B, Maat B, Dordain M, Wit HP (2000) Middle ear influence on otoacoustic emissions. I: noninvasive investigation of the human transmission apparatus and comparison with model results. Hear. Res. 140, 189-201. Gerenton G, Giraudet F, Djennaoui I, Pavier Y, Gilain L, Mom T, Avan P (2015) Abnormal fast fluctuations of electrocochleography and otoacoustic emissions in Menière’s disease. Hear Res. 327, 199-208. Sakka LJ, Chomicki A, Gabrillargues J, Khalil T, Chazal J, Avan P (2016) Validation of a noninvasive test routinely used in otology for the diagnosis of cerebrospinal fluid shunt malfunction in patients with normal pressure hydrocephalus. J.Neurosurg, in press. One goal of the current project is to establish the part played by the difference between intraocular pressure (IOP) and the intracranial pressure (ICP), that is, the pressure gradient over the lamina cibrosa, in the pathophysiology of glaucoma. A possibly relevant factor of normal tension glaucoma (NTG), which develops in the absence of elevated IOP, might be a lower than average ICP. As the use of invasive ICP assessment via a spinal tap would be unethically risky, we plan to noninvasively evaluate ICP through the ear. Currently available technology only allows ICP changes to be measured. The first part of the project will be to characterize noninvasively measured ICP changes e.g. with body tilt, or from one day to the next, in patients suffering from clinically proven, lower-than-normal ICP, as compared with normal subjects. In the second part of the project, patients with NTG will be enrolled and their ICP monitored according to the previously established protocol. This will provide insight in the etiology of NTG and ultimately, facilitate treatment decisions in the patients under concern. The classical concept of an elevated intraocular pressure (IOP) as primary cause of glaucoma is outdated, or at least incomplete. Some people develop glaucoma without an increase in IOP (normal tension glaucoma [NTG]), others do not develop glaucoma despite the presence of a clearly elevated IOP (ocular hypertension [OHT]). These observations have resulted in current hypotheses that focus on (1) the perfusion of the optic nerve head and (2) the difference between IOP and the intracranial pressure (ICP), that is, the pressure gradient over the lamina cibrosa. In this project we will use the database of the Groningen Longitudinal Glaucoma Study to identify a large number of patients with normal tension glaucoma and ocular hypertension. We will compare these extreme phenotypes by applying a series of tests that aim to address the perfusion of the optic nerve head and/or the intracranial pressure. This will provide insight in the etiology of glaucoma and will facilitate the risk assessment in individual OHT patients: who is at risk of developing glaucoma and who is not, thus improving treatment decisions (avoid delay of treatment in some and avoid unnecessary treatment in others). Focus will be on tests that can be applied in a clinical setting and/or lead to feasible treatments. Implandata Ophthalmic Products GmbH (IOP) is a technology company that develops and commercializes permanently implantable, wireless pressure sensors and accessory systems that can be implanted into the human eye. For the first time, these devices enable long term continuous monitoring of intraocular pressure and its diurnal variability, which is likely to become an important metric for the titration of glaucoma therapy. 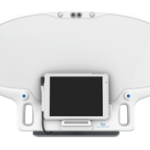 The devices also facilitate easy-to-use home monitoring of intraocular pressure. Since these implantable sensors establish a new class of diagnostic devices, a lot is to be learned on how exactly the large amounts of data that is generated can be translated into therapy recommendations. In current practice, intraocular pressure is measured 3-4 times a year, where our devices can deliver up to 300 accurate measurements per day. Scientifically sound knowledge about the utilization of this quantity and quality of data for glaucoma therapy titration is still limited. Similarly, little is known about interaction of the implant with other diagnostic tools (e.g. electrophysiology, computer tomography, magnetic resonance imaging) or therapeutic options (e.g. selective laser trabeculoplasty, iridotomy, trabeculectomy). During the program these questions will be addressed in preclinical and clinical settings. The larger aim of the project is the development of treatment guidelines and algorithms that will help ophthalmologists to optimally treat Glaucoma patients. Todani, Amit, Irmgard Behlau, Mark A. Fava, Fabiano Cade, Daniel G. Cherfan, Fouad R. Zakka, Frederick A. Jakobiec, Yuqing Gao, Claes H. Dohlman, and Samir A. Melki. “Intraocular Pressure Measurement by Radio Wave Telemetry.” Investigative Ophthalmology & Visual Science 52, no. 13 (December 1, 2011): 9573–80. doi:10.1167/iovs.11-7878. Paschalis, Eleftherios I, Fabiano Cade, Samir Melki, Louis R Pasquale, Claes H Dohlman, and Joseph B Ciolino. “Reliable Intraocular Pressure Measurement Using Automated Radio-Wave Telemetry.” Clinical Ophthalmology (Auckland, N.Z.) 8 (January 7, 2014): 177–85. doi:10.2147/OPTH.S54753. Melki, Samir, Amit Todani, and George Cherfan. “An Implantable Intraocular Pressure Transducer: Initial Safety Outcomes.” JAMA Ophthalmology, June 26, 2014. doi:10.1001/jamaophthalmol.2014.1739. Koutsonas A, Walter P, Roessler G, Plange N. “Implantation of a novel telemetric intraocular pressure sensor in patients with glaucoma (ARGOS study): 1-year results.” Invest Ophthalmol Vis Sci. 2015 Jan 22;56(2):1063-9. doi: 10.1167/iovs.14-14925. PubMed PMID: 25613949. Individually elevated intraocular pressure (IOP) is an important pathophysiological risk factor for the development and progression of glaucoma. Despite the fact, that lowering IOP is currently the only clinically available strategy for the therapy of glaucoma, in the current standard of care often a single measurement of IOP every three months is used to determine therapeutic choices. There is a vast lack of information about the regulation and variability of IOP. Recently, an implantable pressure sensor was developed by partner IMP that allows non-invasive quasi-continuous telemetric measurement of IOP. The device was implanted in more than 20 patients during a clinical trial and is currently being evaluated for its safety and efficacy. After more than 12 months of follow-up and several thousands of data points for some of the patients, the device has already shown great utility for therapeutic adjustments, a surprising variability of IOP throughout the day and dependence on physical activities, emotional states and external conditions. The aim of this project is to systematically investigate the influence of various physiological parameters (e.g. blood pressure, body position, intra-thoracic pressure, etc.) on IOP and visual function in this uniquely equipped patient population. Fan N, Wang P, Tang L, Liu X. Ocular Blood Flow and Normal Tension Glaucoma. Biomed Res Int. 2015;2015:308505. doi: 10.1155/2015/308505. Epub 2015 Oct 19. Review. PubMed PMID: 26558263; PubMed Central PMCID: PMC4628977. Choi J, Kook MS. Systemic and Ocular Hemodynamic Risk Factors in Glaucoma. Biomed Res Int. 2015;2015:141905. doi: 10.1155/2015/141905. Epub 2015 Oct 18. Review. PubMed PMID: 26557650; PubMed Central PMCID: PMC4628774. Zhao D, Cho J, Kim MH, Guallar E. The association of blood pressure and primary open-angle glaucoma: a meta-analysis. Am J Ophthalmol. 2014 Sep;158(3):615-27.e9. doi: 10.1016/j.ajo.2014.05.029. Epub 2014 May 28. Review. Glaucoma is a clinically and genetically heterogeneous group of diseases, with a final common pathway characterized by progressive retinal ganglion cell los, optic nerve degeneration and, consequently, insideous visual field loss. Early diagnosis and life-long treatment is essential to prevent damage and postpone the onset of visual field loss. Effective treatment usually consists of early diagnosis and life-long medication lowering ocular pressure with different drugs in different patients. Several familial, monogenic and complex forms of glaucoma exist. We and others recently found that the most common form of glaucoma, POAG, is caused by pathogenic variants in or near at least 65 genes. However, these pathogenic variants do not fully explain the molecular etiology or the variable expression of the disease in families and in the population. In this project, we will clinically and genetically characterize over 1000 POAG patients and controls (GLGS and Lifelines) with a focus on clinical research and genetic epidemiology. Where possible, clinical subtypes of glaucoma will be grouped and population sub cohorts, or pedigrees will be constructed. Data from past clinical examination , medical history and or type of drugs of GLGS is available in Groningen. The clinical variability in pedigrees and follow-up data in glaucoma subgroups will be assessed. After sequencing known candidate genes and/or 65 risks SNPS, we start exome and genome sequencing in selected patients, controls and pedigrees. Genetic data will be pooled nationally and internationally, as usual, to gain power. We aim to find new genetic glaucoma disease variants, match individual genetic profiles with clinical phenotype and effective medicine type, further improve early risk diagnosis, and personalized medicine. Springelkamp H, Höhn R, Mishra A, Hysi PG, Khor CC, Loomis SJ, Bailey JN, Gibson J, Thorleifsson G, Janssen SF, Luo X, Ramdas WD, Vithana E, Nongpiur ME, Montgomery GW, Xu L, Mountain JE, Gharahkhani P, Lu Y, Amin N, Karssen LC, Sim KS, van Leeuwen EM, Iglesias AI, Verhoeven VJ, Hauser MA, Loon SC, Despriet DD, Nag A, Venturini C, Sanfilippo PG, Schillert A, Kang JH, Landers J, Jonasson F, Cree AJ, van Koolwijk LM, Rivadeneira F, Souzeau E, Jonsson V, Menon G; Blue Mountains Eye Study—GWAS group, Weinreb RN, de Jong PT, Oostra BA, Uitterlinden AG, Hofman A, Ennis S, Thorsteinsdottir U, Burdon KP; NEIGHBORHOOD Consortium; Wellcome Trust Case Control Consortium 2 (WTCCC2), Spector TD, Mirshahi A, Saw SM, Vingerling JR, Teo YY, Haines JL, Wolfs RC, Lemij HG, Tai ES, Jansonius NM, Jonas JB, Cheng CY, Aung T, Viswanathan AC, Klaver CC, Craig JE, Macgregor S, Mackey DA, Lotery AJ, Stefansson K, Bergen AA, Young TL, Wiggs JL, Pfeiffer N, Wong TY, Pasquale LR, Hewitt AW, van Duijn CM, Hammond CJ. Meta-analysis of genome-wide association studies identifies novel loci that influence cupping and the glaucomatous process. Nat Commun. 2014 Sep 22;5:4883. doi: 10.1038/ncomms5883. Janssen SF, Gorgels TG, Bossers K, Ten Brink JB, Essing AH, Nagtegaal M, van der Spek PJ, Jansonius NM, Bergen AA. Gene expression and functional annotation of the human ciliary body epithelia. PLoS One. 2012;7(9):e44973. doi: 10.1371/journal.pone.0044973. Epub 2012 Sep 18. Glaucoma is a clinically and genetically heterogeneous group of diseases, with a final common pathway characterized by progressive retinal ganglion cell los, optic nerve degeneration and, consequently, insidious visual field loss. Effective early treatment consists of early diagnosis and life-long lowering the ocular pressure using different drugs in different patients. Several familial, monogenic and complex forms of glaucoma exist. For example, primary congenital gluacoma is a recessively inherited disease, caused, amongst others, by mutations in the CYP1B1 gene. Also, we and others recently found that the most common form of glaucoma, POAG, is caused by pathogenic variants in or near at least 65 genes, which are organized in four molecular pathways. These pathways are involved in (neural) development, lipid metabolism, neural disease and immune-related processes. However, these pathogenic variants and pathways do not fully explain the molecular etiology or the variable expression of the disease in families and the population. In this project, we will genetically characterize over 1000 POAG patients, families and controls (GLGS and Lifelines) with a focus of identification of new disease genes in pedigrees and rare variants in complex POAG, molecular modelling and functional assessment. In selected pedigrees and in the population studies we will start selected gene (variant) analysis usually by Sanger sequencing followed by exoom or whole genoom sequencing. Genetic data will be pooled internationally, as usual, to gain power. We aim to find and characterized, where needed, new genetic glaucoma common and rare disease variants, improve the molecular modeling of POAG and other glaucoma disease types using bioinformatic integration of sequence, expression, and functional data.